The Lemp Mansion was a paranormal hotbed of activity as “Ghost Hunters” explored the home of the depression afflicted family. Built in 1868 by Jacob Feickert, father of Julia Lemp, the home later served as both a residence and administrative office space for the booming Lemp lager beer empire. Psychic and paranormal investigator Betsy Burnett-Belanger handled the walk through with Jason and Grant. I was astonished TAPS used a psychic although that aspect of her qualifications was not emphasized during the episode. Betsy had spent years doing historical research about the Lemp family, their home and their deaths, many by suicide. The Lemp beer fortune was established by Johann Adam Lemp who built the business brewing lager beer during the 1840’s and 1850’s. 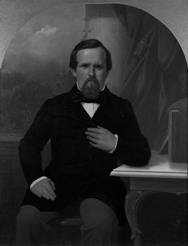 Upon his death in 1862 his son William Lemp Sr. took over the concern, expanding the business and continuing to build a vast fortune. William bought out his father-in-law Jacob in 1876, securing the Lemp house for his growing family and converting part of it into an auxiliary office for the brewery. At first life seemed bright for William and Julia Lemp. They had seven documented children, Elsa, Hilda, Billy, Charles, Louis, Edwin and Frederick. Betsy Burnett-Belanger claims an eighth child was born but never documented because Zeke was abnormal. What I got was that Zeke was raised as Julia’s child, even considered Julia his mother, but Julia was in fact his grandmother. A rumor not addressed in the episode attributes Zeke’s parentage to William Lemp Jr. or Billy as he was called and a prostitute. This version of Zeke’s advent makes more sense to me because I saw Zeke’s ghost as a full-grown man in his 30’s, not the 16-year old teenager that Betsy said died from a fall down the stairs of the Lemp Mansion. I do agree with Betsy that Zeke died falling down the stairs just many years past his 16th birthday. Whenever I saw Zeke’s ghost during this episode his gait was uneven as he dragged his right foot badly. It would have been extremely easy for him to trip over his own feet and fall on a regular basis. My guides told me Zeke suffered a bad fall down the stairs at age 16 that made both his physical and mental challenges much worse. Zeke’s ghost interacted with TAPS several times during their investigation. 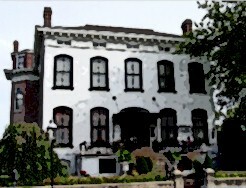 William and Julia moved into the Lemp Mansion with six of their children in 1876. 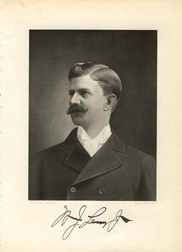 In 1897 his daughter Hilda married Gustav Pabst of the famous Milwaukee brewing dynasty. The first death in the Lemp Mansion was not a suicide. Heir apparent and favored son Frederick died in 1901 at age 28 of a heart attack. Speculation was he may have worked himself to death. William Sr. was never the same following Frederick’s death. He started to withdraw from his brewery and daily life becoming severely clinically depressed. A second blow followed when William’s good friend Frederick Pabst died January 1, 1904. 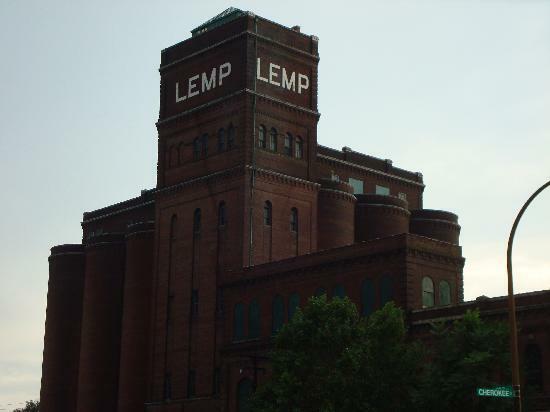 (I had the impression Frederick Lemp had been named in honor of Pabst.) That was the final straw. A few short weeks later on February 13, 1904, William Lemp Sr. shot himself in the head in his bedroom with a .38 caliber Smith & Wesson revolver. Two years later his window, Julia, died of cancer in the same bedroom. Several of the Lemp children tried to distance themselves from the spate of deaths. Charles left the brewery in 1913 and focused his business endeavors in banking and real estate. Elsa married and maintained a separate household away from the sad memories of the Lemp Mansion. It didn’t work. Elsa’s marriage was a rocky one. She and her husband divorced in 1919, then reconciled and remarried in 1920. Just a few weeks later Elsa shot herself in the heart in bed at her home with husband Thomas Wright. Wright was just out of sight in the bathroom of the master suite. The circumstances were murky as authorities were not notified of her death until two hours after her suicide. Nobody in the family or among the servants claimed they had any idea why she killed herself. The ghost of a chatty female servant told me a few reasons. According to the ghost of this servant Thomas had taken up with a younger woman during their separation in 1918, a relationship that continued past their 1919 divorce. Elsa so recently remarried found herself pregnant by Thomas and shortly after returning home found out he had not terminated the affair despite their remarriage. The servant’s ghost told me that Elsa “realized Thomas was not going to change his ways” and found her unexpected pregnancy a repulsive thought in light of her husband’s continued infidelity. The same ghost told me Elsa had strong feelings about her brother Billy’s infidelities and the consequences in the form of Zeke. Furthermore this former ladies maid told me that Elsa believed Zeke was born deformed mentally and physically as a judgment from God to punish Billy for his many dalliances. It wasn’t much of a leap for Elsa to believe her child would be born deformed because of her husband’s infidelities. I suspect based on the Lemp family tendency for depression that hormonal changes in her body with early pregnancy may have also contributed to her suicidal frame of mind. Too much time on his hands had a bad effect on Billy Lemp. Following a messy divorce, a vicious custody battle over his son (he lost) and a second marriage, Billy seemed to follow in his father’s footsteps, retreating into erratic behavior and deepening depression. He copied his sister Elsa’s death in December 1922, shooting himself in the heart with a .38 pistol in his Lemp Mansion office. Death seemed to follow the Lemp’s around because Billy’s son, William Lemp III died of a heart attack in 1943 at the age of 42. Could the Lemp family have inherited weak hearts along with crushing depression? Following Billy’s death Charles moved into the Lemp Mansion to care for Zeke. Charles followed the now familiar pattern of withdrawing from the world, living in his childhood home with only Zeke and a married couple as servants. His closest companion was his dog. In later years Charles developed a major germ phobia, allegedly wearing gloves to avoid contact with bacteria. Paranoia, depression, and his germ phobia became too much for him. Like his father, sister, Elsa and brother Billy he shot himself with a .38 caliber revolver. Didn’t it occur to anyone in the family perhaps they shouldn’t own that type of gun? Or any guns at all? Charles killed himself on May 10, 1949. He used an Army Colt instead of the Smith & Wesson his father had chosen. Like William Sr. he shot himself in the head at home in bed. His brother Edwin found his body. Charles left some odd instructions regarding his remains. He ordered that his body not be washed, changed or clothed. He insisted on cremation and burial at his farm. Oddly nobody knows where this farm was located although Edwin supposedly honored his wishes. Keep in mind the germ phobia and his strange posthumous orders. They impacted Jason and Grant personally during TAPS investigation. During the walkthrough with Jason and Grant, Betsy highlighted the hotspots in the Lemp Mansion. The bedroom where Charles Lemp killed his dog and then himself had been the location of reports from current day B&B guests feeling watched, observing mists, shadows and experiencing generally uneasy emotions. The shades of Charles and his dog have been witnessed all over the house. Paranormal activity had also been reported in the Atrium. I first saw Julia Lemp’s ghost in this room. Past guest Emily Warnner and her husband had encountered the ghost of a cat in the Atrium that wound itself between Emily’s legs. A room full of modern-day visitors had witnessed a chair move itself across the room. At another time a chair in the Atrium could not be moved regardless of the force exerted. A restaurant employee reported having been locked in the wine cellar adjoining the bar. He was stuck inside the wine cellar for two hours before being discovered. Kitchen workers had often felt they were being started at. I think they were. I got a glimpse of both Billy and Charles Lemp glaring at kitchen staff they considered interlopers in their home. A current owner shared his experience of peacefully reading a book in Charles Lemp’s bedroom when a sudden kick at the door startled him. He walked through the house but found it empty. He never found a cause for the kick. Frederick Lemp’s attic suite has offended the noses of many visitors to Lemp Mansion. Guests have frequently complained of a foul odor. Betsy believed the ghost behind the odor used it to move paying guests out of the room. The attic eves allegedly contained Zeke and his grandmother Julia Lemp. Zeke’s ghost had been seen up in the attic playing and standing at the windows watching the world go by. TAPS placed cameras in the atrium, focusing on the chairs, on the stairs of the front entry, the hallway of the bar leading into the wine cellar and set up the BTC camera in Fredrick’s attic room. Jason and Grant started the investigations in the third floor attic bedroom that once belonged to Frederick Lemp. They started talking to Zeke’s ghost. Grant invited Zeke’s spirit to “… come out and play”. He got a taker, just not the one he expected. At this point Jason noticed an empty space between an armoire and the bedroom door had gotten darker than the rest of the room. Grant set a chair in that space and propped his K2 meter on the seat. Grant got some great responses via his K2 meter. He asked the spirit present in the room to light up the LED’s on the K2 in response to his questions. At first the spirit turned the K2 lights on and off upon request. Grant asked the K2 lights be blinked twice for yes, once for no and received an intelligent response via the LED’s. Further urging prompted the spirit to turn on 3-4 LED’s at once. I saw the spirit Grant and Jason were communicating with as the ghost of Charles Lemp, the final suicide in the house. He appeared to be in late middle age. He was slim and elegantly dressed in a tailored suit with striped pants. He sat in the chair Jason put out for him with his legs crossed. When I asked him why he chose to cooperate with Jason and Grant he replied it amused him to do so as he found his existence boring. When the K2 meter stopped responding to Grant, Jason saw a shadow walk by the doorway of the bedroom and quickly followed it down the hallway. He didn’t see anything so both guys returned to the bedroom and asked the spirit they had been chatting with via the K2 meter if he had just walked by them in the room. The K2 meter lit up in the affirmative. Grant inquired about the horrible smell so many guests had complained about and asked the spirit to “…push that smell on us.” Then he asked about Zeke. Charles did not want to talk about Zeke. Charles’s ghost told Jason and Grant “Of course” he knew about the boy. However he said that Zeke was “before my time”. He didn’t like his impaired nephew in the least. Jason and Grant exhibited no awareness of these comments. Britt and KJ checked out the office with a K2 meter. They attributed commonly reported feelings of unease to the high EMF readings. Both men heard a groaning moan from the fireplace. I got that the groan which was captured on audio, was an imprint haunting lingering from Billy’s 1922 suicide. Kris and Amy investigated in the basement where doors had been reported opening and closing by themselves. I saw Julia Lemp as the cause behind such activity. Kris saw a shadow pass by back basement windows. She and Amy were unable to duplicate the effect. The shadow Kris saw was the ghost of the husband of the servant couple Charles engaged in his later years living in Lemp Mansion. He was an unpleasant personality, malevolent, resentful of his cloistered existence with Charles and intent on playing games with Kris and Amy. The manservant’s ghost made a grisly claim. He said Charles made him watch the suicide. When I questioned the ghost carefully he admitted he wasn’t there the moment Charles took his own life, but deeply resented having to watch Charles slow decline into madness and death. The worst part in his opinion was the fact he was given the task of cleaning up the mess made when Charles shot himself in the head. This ghost was the same shadow figure Amy and Kris saw at the top of the stairs. Kris and Amy both saw a shadow cross the floor level light on the landing of the stairs leading upstairs. They described the shadow as “small”. This time Zeke’s ghost was responsible. I first saw Zeke’s ghost appear as a boy, about four years old. At this point Julia Lemp’s ghost showed up. She was not in an upbeat frame of mind. There seemed to be plenty of resentment in the Lemp home. Julia complained about having to take care of Zeke. She told me she paced in the basement to “get away from the little freak” when she needed a break. My guides weighed in on this and I think two factors contributed to her less than motherly attitude. First, she was Zeke’s grandmother, not his mother. Second she had already fallen into ill-health that would culminate in fatal cancer that took her life in 1906. I believe Zeke’s birth predated Billy’s 1909 first marriage. Anyone who has lived with a dying cancer patient can attest to the fact personality’s change as the disease progresses. Amy and Kris followed the small darting shadow up the stairs to the second floor. The malignant manservant was back, taunting them by asking, “Would you ladies like tea?” He proceeded to lead them on a merry goose chase around the mansion. They never did identify the source of the game. Meanwhile Grant and Jason went back up to Frederick’s bedroom. They were met with a wall of stench. Grant described it as a combination of decaying bad breath, unwashed human body and decomposition. It was so vile Grant went into the bathroom, grabbed the air freshener and stuck his nose into it, narrowly avoiding tossing his cookies. My first impression of the smell was freshly dead skunk. My second impression was of Charles Lemp’s ghost in an elderly, whiskery state of unwashed rankness. This puzzled me in light of the germ phobia he developed late in life. Jason and Grant sensibly went searching for the source of the stench. They even poked around the eves of the attic, looking for a dead rodent or something that would explain the smell. Nothing turned up. In the atrium Britt and KJ discussed the chairs that either moved on their own or refused to be moved at all. I got that Juila Lemp was responsible for those incidents. The guys did hear a heavy creaking sound near the door to the atrium. They jumped around but the floor didn’t creak in response until they reached the threshold of the door. Britt bouncing around duplicated the sound they heard when nobody was standing near the door. The guys saw something and even heard indistinct mumbling, but they couldn’t determine which direction it was coming from. I think Zeke’s ghost caused the sound. At this point I saw him in this 30’s. His dragging leg was painfully obvious and he looked unkempt with a patchy beard and shaggy hair. I suggested he might want to move on to the other side. He wasn’t interested. Sometimes miserable ghosts will cross over if loved ones come to assist or are waiting for them on the other side. With this strategy in mind I asked Zeke’s ghost if would like to see his mother in heaven. No luck. His comment on that idea was, “I see her every day,” “What is the difference?” as he shrugged. Zeke believed Julia was his mother. I can confirm Julia’s ghost remains in the mansion. So from his point of view, heaven didn’t have a thing to offer him. KJ tried to engage the presence from the doorway, asking it to talk to him and Britt. None of this was recorded, but I heard Zeke respond by asking the guys, “Who are you?” He was getting agitated saying, “You don’t belong here!” Then Zeke’s ghost turned to me and said, “I want them to leave!” and repeated, “They don’t belong here!” Considering that Britt and KJ are a couple of the more considerate, compassionate ghost hunters on TV today, I can only imagine how disturbing Zeke’s spirit must find the constant flow of diners and B&B guests at Lemp Mansion. I am sure nobody means him harm be they casual guests or passionate ghost hunters. The problem is until he crosses over he remains stuck in his limited six-year-old perception of the world around him that he had when alive. Several online sites dedicated to the Lemp family speculated that Zeke had Downs Syndrome. Based on what I saw of him during this episode that seemed a reasonable guess. Jason and Grant headed into the Lavender Suite, so named due Billy Lemp’s first wife Lilly who preferred shades of lavender in all things from her clothing to the harnesses of the horses that pulled her carriage about. Past reported apparitions include Charles Lemp’s unfortunate dog napping on the couch. The ghost of the dog was present. I saw him as a heavy-set older dog with white hairs among his black coat. Jason and Grant hung out on the bed in the Lavender Suite and tried to engage Charles Lemp’s ghost by talking about how he had shot his dog before himself. They didn’t catch the response, but I heard Charles’s ghost answer with some heat, “I shot my dog so it wouldn’t starve,” after his death. Jason went into another room leaving Grant on the couch. Jason decided to play a little game with whatever ghost was handy asking any local spirits to whisper a word he gave them into Grant’s ear. Somebody decided to play ball, I think it was the ghost of Charles Lemp. Upon Jason’s request Charles whispered “Atlantis” into Grants left ear. Grant freaked out so beautifully Jason tried again. This time the key word was “commet”. The word was duly related to Grant back in the Lavender Suite. Grant didn’t quite hear it clearly but got close, perceiving the word as “comic, karma” or “karmic”. Jason couldn’t hold the joke and Grant knew something was up. Jason shared his digital recording of his little conspiracy with the ghost. Grant was so surprised he dropped the recorder. The guys speculated that such a playful ghost might have been a child. Nope, it was Charles. Britt and KJ were in the basement near the wine cellar. They asked some standard provoking questions especially about the restaurant worker who had been trapped in the wine cellar after the door closed behind him. Britt asked any ghosts in the area to make a knocking noise if that was not true. Right away both guys heard a faint knock. Charles’s ghost was back with more comments. Britt and KJ didn’t catch any of his remarks. Charles ghost stated, “It wasn’t me. I was Zeke. He liked to play games with people.” According to Charles, Zeke thought trapping the kitchen worker in the wine cellar was funny, “like watching a fly in a jar” buzz around in panic. I asked Charles’s ghost about his earlier comment to Jason and Grant that Zeke was after his time. Obviously he knew Zeke and had cared for the boy following Billy’s death. Charles response was, “I have been here a long time. We pass in the halls.” Death hasn’t done a darn thing to endear Zeke to his Uncle Chuck. Britt was on the right track, asking if the spirit that trapped the restaurant staffer was a member of the Lemp family, even asking if it was Charles. He didn’t get a response he or KJ could hear or record. Then Britt asked if the spirit involved had been Julia. A sound quickly followed that question. I already knew Zeke was responsible for the prank, but Julia’s ghost showed up the moment Britt called her name. As she declined and her health got worse Julia drank a lot of wine. I had an image of her in the wine cellar with a bottle under one arm, holding another bottle in her hand. I think she stocked up and retired to her room to imbibe. Amy and Kris investigated the office Billy Lemp killed himself in. Mother Nature kicked in dramatic effects with a lightning storm. Kris asked Billy why he was still there. I heard Billy reply, “It is my home.” Kris continued her questions asking what had happened to the family business. Billy showed a rare flash of humor when I heard him answer, “It tanked.” He sounded drunk. The gals heard the sound of a distant door opening out in the hallway and downstairs. Amy radioed Grant who confirmed the door had been opened by a TAPS member a floor below. Jason called a wrap to the investigation. During the reveal Betsy Burnett-Belanger didn’t seem surprised at the many personal experiences and the recorded evidence Jason and Grant presented. The uneasy feelings in the office were attributed to high EMF readings. Kris and Amy’s mysterious shadows were shared along with an EVP that caught a whooshing sound as if someone (the ghost of Zeke) walked past them. The video clip of Britt and KJ hearing the human groan in Billy’s office was shown. Grant and Jason’s rewarding stint with the K2 meter in the chair and the shadow passing the door up in Frederick’s room was reviewed. Betsy had experienced the smell that hit Grant and Jason like wall. She and Grant seemed to agree on what it was like. The research Kris did regarding Zeke didn’t turn up any factual record of his existence. So TAPS wrote him off. Betsy agreed his existence was more a matter of faith than anything else. Well faith or psychic impressions. Lack of an official birth or death certificate didn’t keep Zeke’s ghost from talking up a storm in the episode. This entry was posted in Ghost Hunters and tagged Amy, beer barons, Billy Lemp, Britt, Charles Lemp, Elsa Lemp, Ghost Hunters, Grant, haunted Lemp Mansion, Jason, Julia Lemp, KJ, Kris, Lemp beer, Lemp brewery, Lemp lager, Lemp Mansion, William J. Lemp, Zeke Lemp. Bookmark the permalink.